Zero Fee Recruiter Gives Companies Access To The Largest Passive Candidate Marketplace In The World. We Guarantee that the candidates we deliver are Qualified and Interested. Please give us a try, we will take the pain out of hiring! We were born when the founders of Openhire.com and a well known IT company came together to start a revolution in online recruitment. This entry was posted in Passive Recruiting on April 10, 2014 by ZFR. Ben Southall, 34, of Petersfield, beat out nearly 35,000 applicants from around the world for the dream assignment to swim, explore and relax on Hamilton Island in the Great Barrier Reef, while writing a blog to promote the area. He was selected for the $111,000 gig – a six-month contract to serve as caretaker of a tropical Australian island. He now has to live rent-free in a three-bedroom villa, complete with pool. A student from Birmingham City University has landed her dream job…literally! Sleeping on the job and having a lie-in will no longer be a problem for a girl, who has been selected to test out luxury beds for a month and get paid for it. Roisin Madigan, 22, is earning $1,000+ to sleep in designer beds every day for a month. The student is helping with a “sleep survey” carried out by luxury bed specialists Simon Horn Ltd. The company sells luxury Savoir Beds, originally made for the Savoy Hotel. General manager Craig Roylance said Roisin will not only provide an objective view of the beds on sale, but will also be part of a look into what brings a good night’s sleep. She will spend 10am to 6pm in beds in the company’s showroom in Edgbaston, and then will blog about her experiences. Surely the envy of any desk-bound office worker, Tommy Lynch has travelled over 27,000 miles this year for his job, testing holiday resort waterslides. Mr Lynch, 29, works for holiday giant First Choice, checking the height, speed, water quantity and landing of the flumes, as well as all safety aspects. In 2008 Mr Lynch tested waterslides at holiday villages in Lanzarote, Majorca, Egypt, Turkey, Costa Del Sol, Cyprus, Algarve, Dominican Republic and Mexico. This year he will quality control First Choice’s new splash resorts in Greece, Turkey, Florida, Jamaica and Ibiza. Liverpool-born Mr Lynch, whose job title is lifestyle product development manager, was recruited to identify the very best pools to be featured in First Choice’s new Splash Resort collection. He also ensures potential new resorts are up to the company’s standard. Rascone, an occasional male model and DJ, first happened upon Fiorella Companions in Santiago, Chile while working on a story about the country’s sexual revolution. He was offered the gig by Madam Fiorella, who needed somebody to provide that final “interview” in her hiring process. It goes like this: girls who are interested in working as VIP escorts for Fiorella have to undergo interviews, psychological testing, and a photo session. The applicants are whittled down to a final six, who are then fucked one after the other in a single day by Jaime. He takes diligent notes on, say, how they moved their hips and whether their groans were adequate, and makes recommendations to the madam. There is even paperwork involved. The strain of the job is actually such that he can only do it once a month, testing around seventy girls or so a year. Imagine moving to the heart of Sonoma County, where every day you’ll come home to more than 450 wineries along the beautiful northern coast of California. Picture living rent free, learning the intricacies of making the perfect wine, and capturing and sharing the entire experience for your network of Twitter followers. Now imagine getting paid $10,000 a month to do it. Listening? Hardy Wallace of Atlanta, the first person to submit his application, was the winner for the position at Murphy-Goode Winery— a $10,000 p/mo for six months, rent-free job updating Twitter and Facebook with his winery lifestream. The interview process was simple: submit a YouTube video explaining why you would be good for the job and wait to see what happens. Another one of the world’s best job has gone to schoolboy Harry Willsher, 12, chief taster in a sweet factory. Harry’s job is to test top secret recipes. He got the job after winning a contest at Swizzell’s Matlow to find a recruit. According to him, after his first tour at his new job, he felt like having stepped into the book Charlie And The Chocolate Factory. He wowed judges by describing the flavor and smell of his favourite sweet, the Drumstick lolly. The Derby firm, which also makes Love Hearts, Rainbow Drops and Parma Violets, has now given the youngster chief taster overalls and business cards. As well as sampling the sweets, he will also monitor their development at the company’s factory in New Mills, Derbyshire. I don’t know if it’s the best job, but it’s definitely the sweetest. An Australian manufacturer called for applications for what it claims could be the world’s best job – condom tester. Durex marketing manager Sam White was hiring Australians over the age of 18 who could apply for one of 200 positions as a condom tester. Unfortunately the position is not paid, but successful applicants would receive a free $60 selection of Durex products and will be required to provide the company with honest feedback about the products’ performance. One of the lucky 200 testers would win a $1000 bonus. Maybe the bonus is not that great, but one thing’s for sure – it’s a job where employees won’t mind taking their work home and burning the midnight oil. We are sorry to inform you applications are closed. Do you Play World of Warcraft? And if so, do you play well? Can you farm 200 gold an hour and hit level 80 in under 2 weeks? 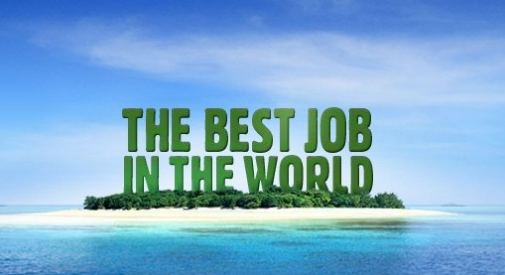 If the answer is yes, you can apply for the job that about 12 million players only dream about, as a Wow game tester! There are in fact several Blizzard jobs posted on their website. The Blizzard employment database has dozens of mmorpg jobs available, mostly WoW employment opportunities. They are currently hiring for several game tester positions for World of Warcraft, under the QA department. They are in particular looking for foreign language testers, so if you speak any other language besides English, don’t hesitate to apply to start your Blizzard career. And, yeah, you will be required to play at least four hours a day. A six-year-old boy who wanted to become the director of York’s National Railway Museum landed himself a job – as the director of fun. The ambitious youngster got a plum role at the National Railway Museum after applying to replace retiring boss Andrew Scott. Sam Pointon sent a handwritten letter headed “Application for director” asking for an interview at the centre, in York. The letter listed his credentials for the role, including his expertise on his trainset. “I am only six but I think I can do this job,” wrote Sam. “I have an electrick (sic) traintrack. I am good on my train track. I can control two trains at once.” Staff was so impressed they appointed Sam an honorary “Director of Fun” and his job will be to bosses how he thinks they can ensure the museum is the most fun place for kids to spend a day out. Ok, maybe this isn’t the best job in the world for an adult, but it certainly rocks the world of a 6 year old. Google (GOOG) has hired two lucky young men to ride around France on dopey looking tricycles snapping up photos of historical sites that are inaccessible by car. This three-wheeler is a sight with its long pole holding nine cameras, a GPS, a computer and a generator. But the contraption tooling around the French capital needs all that gear to do its job – adding three-dimensional images to Google’s Street View Maps. The riders, wearing Google tee-shirts and white helmets, are visiting well-known sites such as the Chateau de Versailles, west of Paris, the Jardin du Luxembourg on the city’s Left Bank or Les Halles, in the busy centre of the French capital. This entry was posted in Fun Stuff, Recruiting Trends on April 2, 2014 by ZFR.